It’s been a while since I used sketchup. Actually, it’s been a while since I’ve posted here, hasn’t it? Anyhow, I thought I’d resolve to post a simple sketch every day. This is not so much to enlighten the world as to engage in practice. 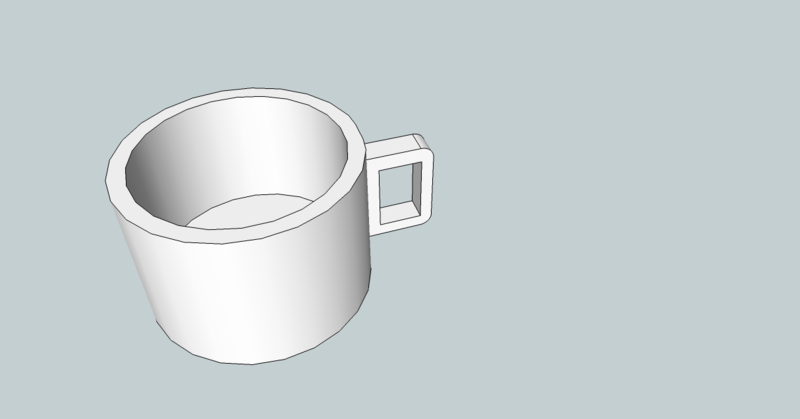 Anyhow, this was about the simplest thing that I could think of that would still stretch my talent, in that I had to make a handle that sticks out of the cup.